Assam: Total 30 Muslim candidates belonging to the Congress and All India United Democratic Front (AIUDF), including BJP’s sole Muslim MLA Aminul Haque Laskar, have been elected to the newly Assam assembly. 15 Muslim MLAs have been elected on the Congress ticket, 13 Muslims on AIUDF ticket and 02 Muslim MLAs have won on the BJP ticket. 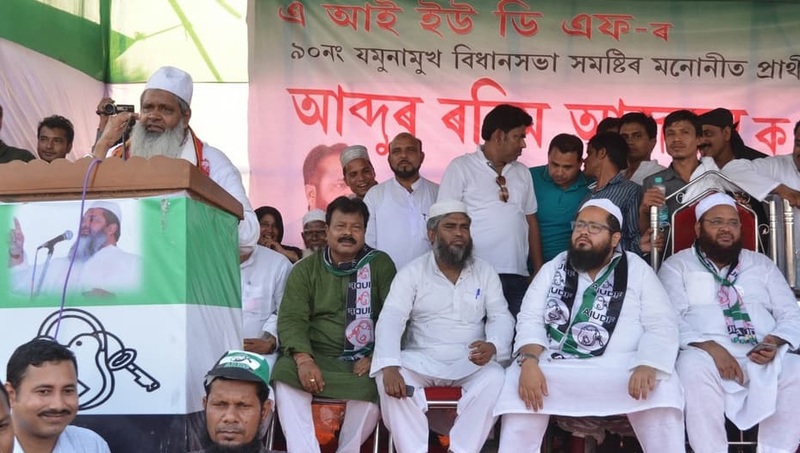 Congress MLAs from the Muslim community are Andul Hai Nagori, Jmaluddin Ahmed, Sherman Ali Ahmed, Rekibuddin Ahmed, Sukur Ali Ahmed, Ilyas Ali, Abul Kalam Rasheed Alam, Abdul Khaliq and Wazed Ali Choudhary. Abul Kalam Azad of AIUDF has also won the election from Bhabanipur assembly seat. Others who have won the election on AIUDF ticket are Nizamuddin Choudhary, Hafiz Bashir Ahmed, Anwar Hussain Laskar, Sahabuddin Ahmed, Aziz Ahmed Khan, Suzamuddin Laskar and Mamun Imdadul Haq Choudhary. Other prominent Muslims who have been made to the newly elected house are Dr. Nazrul Islam, Dr. Motiur Rehman Mandal and Abdur Rashid Mandal of the Congress party. While Dr. Nazrul Islam and Dr. Motiur Rehan won from Laharighat and Mankachar assembly seats, Abdur Rashid Mandal won Goalpara West seat defeating AIUDF’s Shah Alam. Aminul Haque Laskar, who won the 2016 state election on BJPs ticket from Sonai assembly seat, Numan Momin won the Bokajan assembly seat contesting as BJP candidate. Dr. Numal Momin is NOT a MUSLIM. A number of websites are reporting wrongly enlisting him as a Muslim MLA. He is in fact a a devoted Christian and an Assistant Professor of Guwahati Medical College and resident of Dillawjan locality of Bokajan subdivision of Karbi Anglong district is now the BJP MLA for the Assam Assembly (2016).